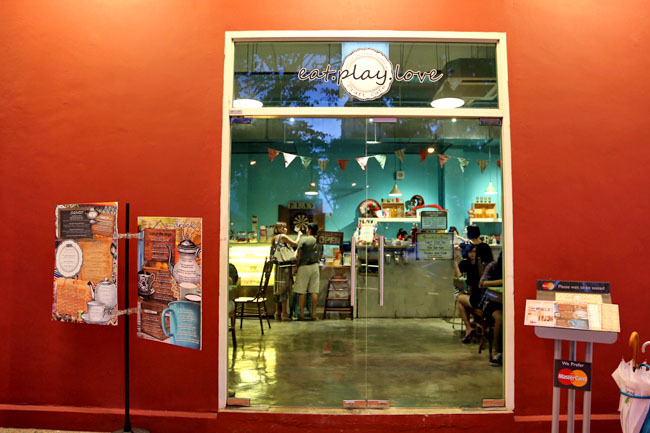 When you have a café name like “Eat Play Love”, it has already half stolen my heart. With a pun on one of my recent favourite books Eat Pray Love by Elizabeth Gilbert, I admit I am one of the dreamy-eyed persons who yearn to travel wander-lustly and has a soft spot for beautiful things. First thing you noticed would be the number of families and children around. Ah… an extremely kids friendly place. 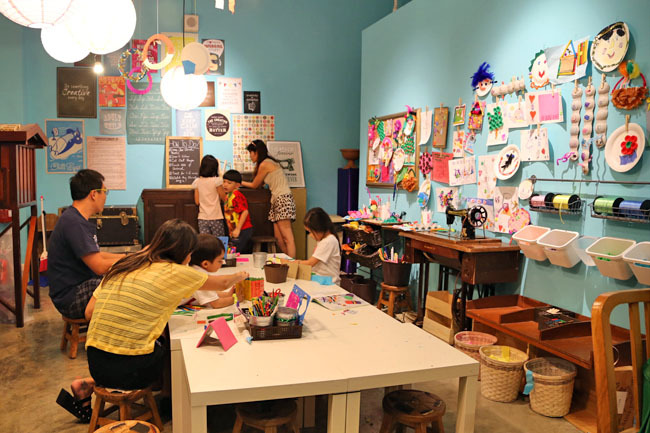 At least they are not running around, but at the arts & craft corner where they can read books or play with free-flow arts material at $5 per hour during weekends (or $5 per two hours during weekdays). 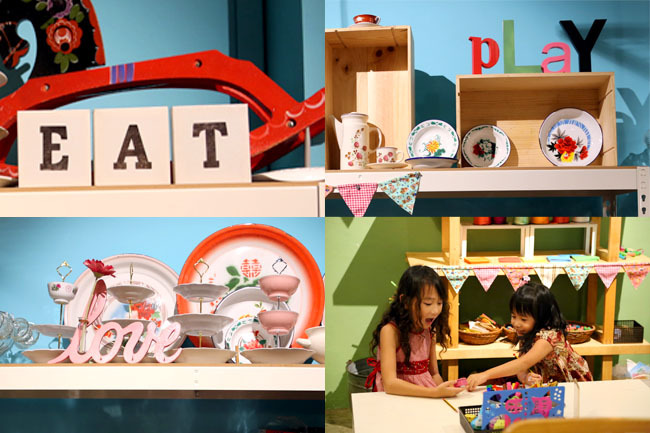 Yes, the design of Eatplaylove can be best described as ‘eclectic’ – what’s around include craft books, vintage décor, sellable stationaries, toys, retro utensils, all very wonderfully decorated. Kudos to the owners Jessica and Gayle. Though I must say food-wise, it may not be impressive in comparison. 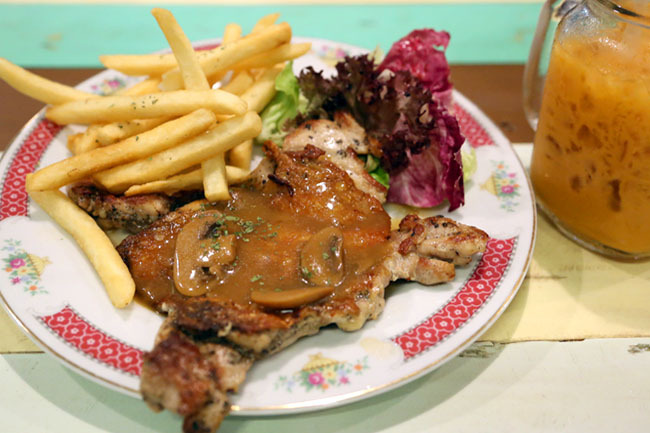 The Western fare, a Chicken Chop with Mushroom Sauce ($10.50) was rather dismal in its sauce with two thin slices of button mushroom, reminded me of my school canteen’s Western stall. 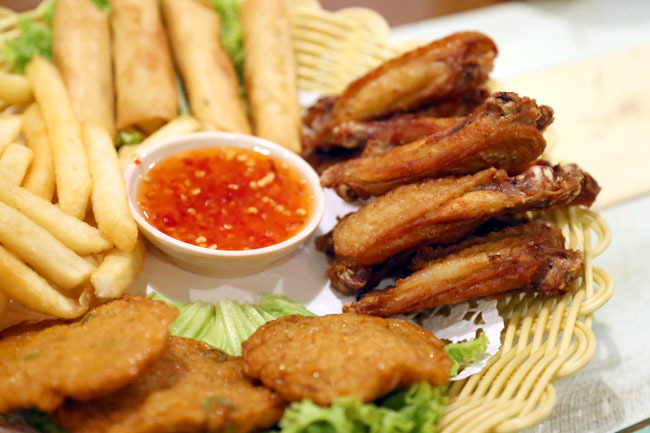 I was initially excited to try the Mixed Platter ($12.50) which included the Mini Split Chicken Wings ($6.50 for 10 pieces when ordered separately), thinking it would remind me of the Greyhound experience. The wings were piping hot, looked the part, but the meat apparently wasn’t well-marinated, or perhaps not marinated at al. Perhaps I ordered the wrong dishes. 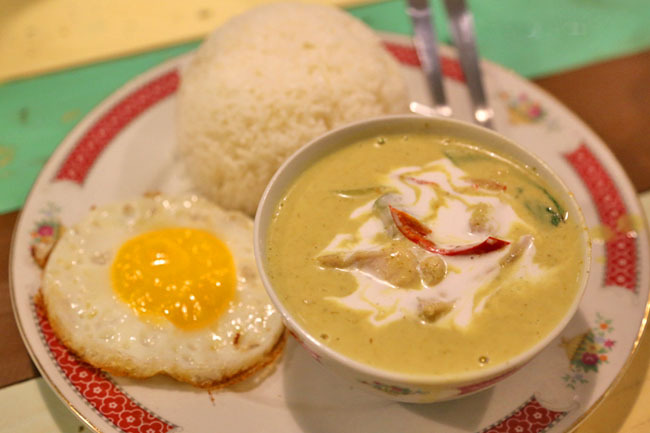 The Thai Green Curry Chicken ($7.50) had diluted and sweet curry, steamed rice had too many broken grains, definitely not the best quality around. 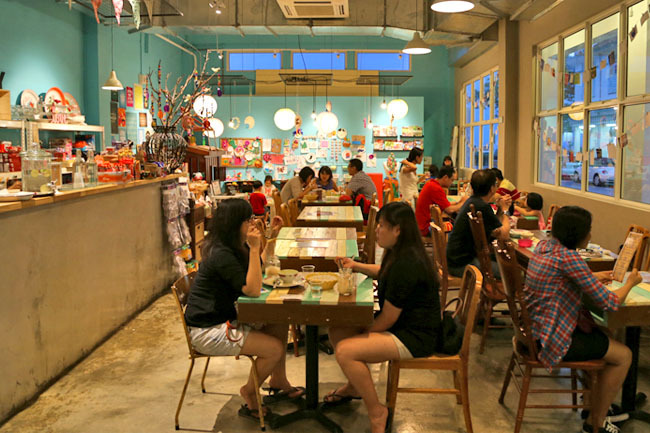 If you are not too fussy about the food, would like a beautiful café to hold children’s birthday parties, or somewhere to create crafts with your kids, then this is the place to Play and Love. Really a pity about the Eat. I went there for dessert after dinner at A for Arbite and what drew me was their crafts section. My daughter was very keen to do the crafts so we will likely return for that. The food was so so for us as well.